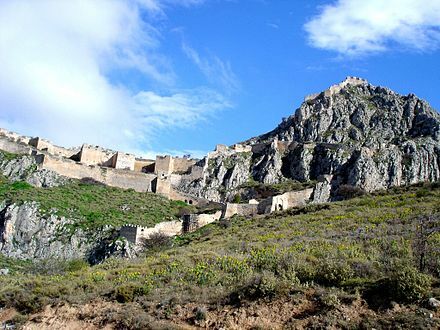 Corinth (Νέα Κόρινθος) in 1858 after an earthquake destroyed the existing settlement of Corinth, which had developed in and around the site of ancient Corinth. 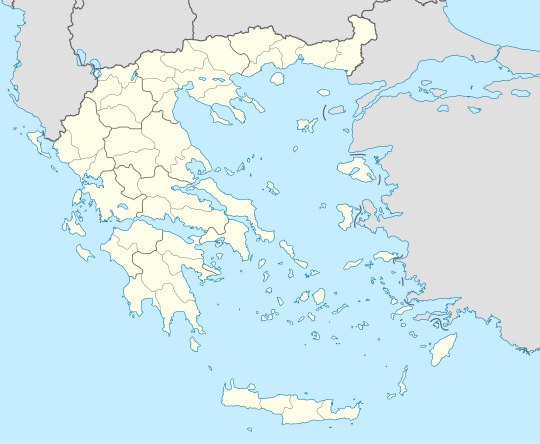 Mediterranean Sea and the Aegean Sea, is about 4 kilometres (2.5 mi) east of the city, cutting through the Isthmus of Corinth that connects the Peloponnesian peninsula to the Greek mainland, thus effectively making the former an island. The builders dug the canal through the Isthmus at sea level; no locks are employed. It is 6.4 kilometres (4.0 mi) in length and only 21.3 metres (70 ft) wide at its base, making it impassable for most modern ships. It now has little economic importance. The canal was mooted in classical times and an abortive effort was made to build it in the 1st century AD. Construction started in 1881 but was hampered by geological and financial problems that bankrupted the original builders. It was completed in 1893, but due to the canal's narrowness, navigational problems and periodic closures to repair landslips from its steep walls, it failed to attract the level of traffic anticipated by its operators. It is now used mainly for tourist traffic. 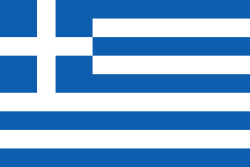 Sport The city's association football team is Korinthos F.C. Abilene, Texas — sistercity.info". en.sistercity.info. Retrieved 2018-02-01.